"My name is Megan Chase. In less than 24 hours, I'll be 17. Although, technically, I won't actually be turning 17. I've been in the Nevernever too long. When you're in Faery, you don't age. So while a year has passed in the real world, agewise I'm probably only a few days older than when I went in. In real life, I've changed so much I don't even recognize myself." "My name—my True Name—is Ashallayn’darkmyr Tallyn. I am the last remaining son of Mab, Queen of the Unseelie Court. And I am dead to her. My fall began, as many stories do, with a girl…." "Special Circumstances": The words have sent chills down Tally's spine since her days as a repellent, rebellious ugly. Back then Specials were a sinister rumor - frighteningly beautiful, dangerously strong, breathtakingly fast. Ordinary pretties might live their whole lives without meeting a Special. But Tally's never been ordinary. And now, in the third book in the series, Tally's been turned into a Special: a superamped fighting machine engineered to keep the uglies down and the pretties stupid. Meghan Chase has a secret destiny - one she could never have imagined…. But she could never have guessed the truth - that she is the daughter of a mythical faery king and is a pawn in a deadly war. 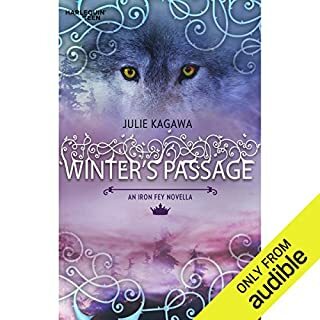 Now Meghan will learn just how far she’ll go to save someone she cares about, to stop a mysterious evil no faery creature dare face…and to find love with a young prince who might rather see her dead than let her touch his icy heart. 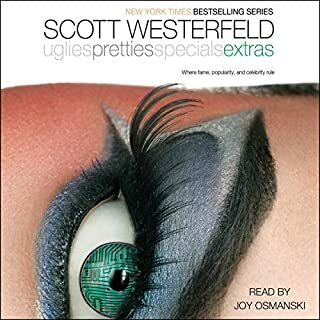 ©2010 Julie Kagawa (P)2010 Audible, Inc. The iron fey is such a great series. It’s one I keep going back to. 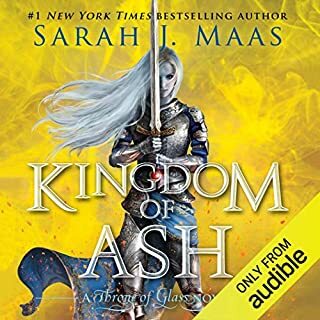 I decided to try out the iron king (book 1) on audible and was not disappointed. 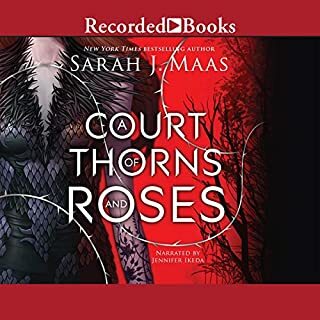 It was very well narrated by Khristine Hvam. I’m looking forward to book 2! I read this book several years back. 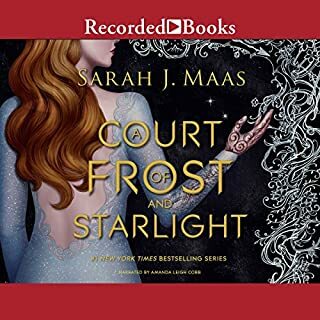 I wanted to listen to the audio book and re visit the story. The narrative was well done and made the book even better. 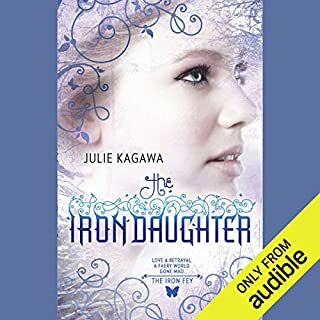 I highly recommend these series of books and I look forward to listening to the sequel ‘Iron Daughter’. Please give it a go if you like fantasy , romance and faerie books. This is one of the best ! 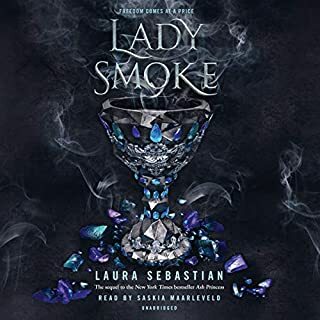 This book was fantastic, it was a wonderful blend of traditional Faerie elements (Oberon and Titania, Seelie and Unseelie Fae etc.) But also adds some suprisingly modern twists on the folklore. It has a wonderful romance and the characters are interesting and deep. 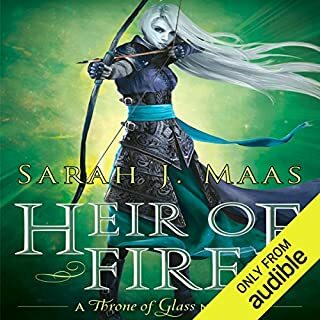 I found it very easy to relate to the main character, a teen girl with typical teen troubles embarking on a fantastic quest and growing as a person. I can't wait for a sequel to come out because I could not stop listening to this one. No spoilers in this review :) An extra 200 colorfully written pages would have made this book epic. Warning: The Iron King has cussing in it. Most notable positive aspect of the book - The narrator pronouncing Fairy and Pixy as if it were not a child's nursery book. It is a Mythical Magic meets normal girl. At times it was extremely entertaining to watch as the author switched us from genre to genre. Fairy land, then Earth, then Supernatural, then back to Fairy Land and all the time having the main heroine and heroes being consistent in their responses, making them lovable and real characters. The author is true to the history of the legends. She doesn't change things like "Satyrs" (who are very sexual beings, and many times aggressive). There are a LOT of characters in the beginning so it is difficult to remember everything (including all the character's names), but as you go along you realize who is important and who is not important. The narrator is not ENTIRELY consistent with the voice responses. When Ash shouts "Watch out!" sometimes it sounds like someone else is saying it because the voice inflections are out of Ash's calculating character. The BIGGEST downside is the author or editor's fault…The descriptions of actions are hastily written and shallow. It leaves the relationships and scenery a bit...malnourished. See what I mean? An extra 200 colorfully written pages would have made this book epic. This story had a promising storyline. However, the author could not seem to keep track of her story. Contradictions expounded. The world was unbelievable despite the fact that the author pretty much ripped her fantasy world from more creative authors. The characters had no soul, (Puck's character was saved only by the talented narration). While I can forgive improper english and swearing for the sake of the character/story/setting etc., the authors use of expletives left me remembering that swearing is for those that don't have the vocabulary to express how they truly feel. Save yourself the wasted time and read something with heart. 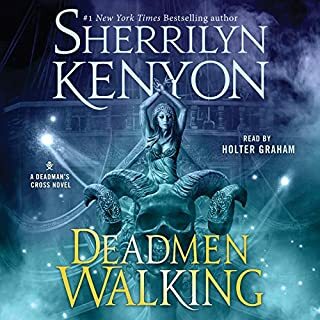 While this story certainly has a premise with plety of potential, I'm sorry to say I found the writing a bit mediocre and uninspired, and even a little trite at some points. Kagawa pens for us a herione with a noble and dramatic quest, saving her little brother. Unfortunately, I did not find Megan a truly compelling or convincing character. Her "inner-life" (thoughts, etc.) and her personality were just not very interesting. I know that this series is fairly highly-reviewed overall, and it looks like it just may get better as it goes along. 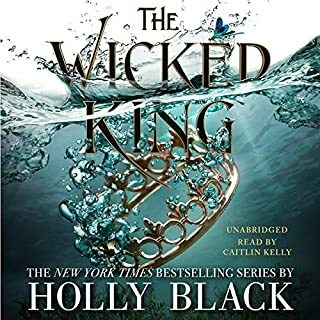 Because of the overall plot, and some characters who did interest me, particularly Puck and Ash, I will check out the rest of this series eventually. As far as the narration, it is very good and appropo of the story. Khristine Hvam has a very listenable voice that is suitable to the character. 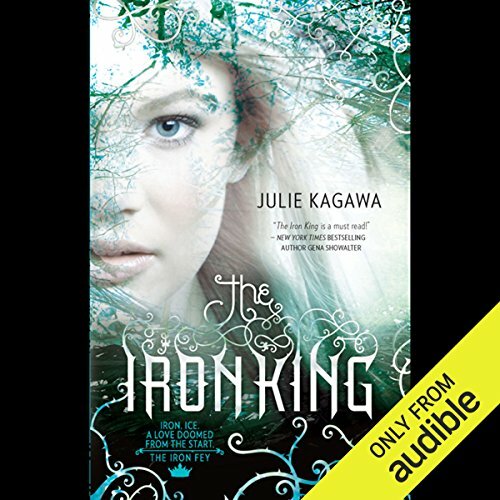 Would you consider the audio edition of The Iron King to be better than the print version? 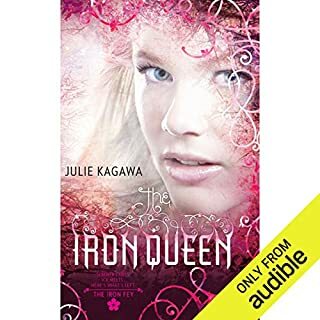 What other book might you compare The Iron King to and why? the Song of Albion by Stephen R Lawhead. I would compare the two because both take place in a magical kingdom. though the worlds and the issues in the worlds are different, listening to this book and the strugles of someone in from our world adapting to a more vibrant, pure world. Which character – as performed by Khristine Hvam – was your favorite? The only down side i have with Khristine Hvam is that several of the minor lady characters seem to have the same voice. besides that it is a amazing story from start to finish. personally I thought I had it figured out what the Iron King wanted but even at the end I did not see what his real reason was untill the end. There's no nice way to say it - if the movie Labyrinth and the book Alice In Wonderland had an exceptionally ugly and annoying baby, it would be The Iron King. I agree that there are elements of the book which are exceptionally well done, blending old myths with modern interpretations. 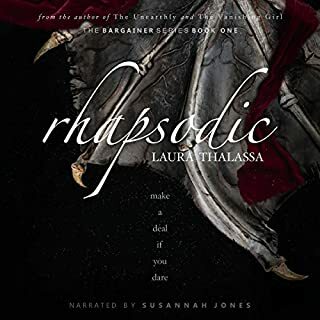 The technical elements are basically good - the reader is great, and the mythology is interesting, but the characters are either overdeveloped and undershared, or overshared and and underdeveloped. Most importantly, the protagonist is all over the place - she's inconsistent and not in a good way. She's got backbone, she's a coward, she believes nothing, she believes everything she's told. 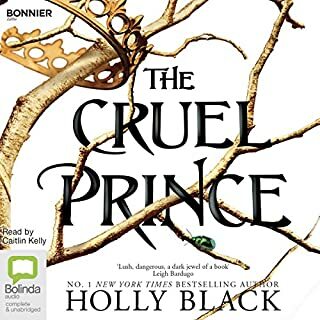 I don't feel I have to LIKE every character in every book, but if I can't connect with the protagonist, or if the whole story feels like a really bad re-telling of a couple of other fairy tales, it's just 12 hours of wasted time. The performance was perfect for the story. 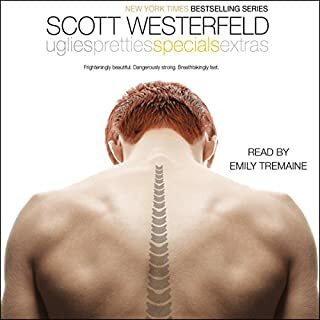 I appreciate when the voice suites a novel. The story is something I would recommend to teens as it's not too violent or sensual. 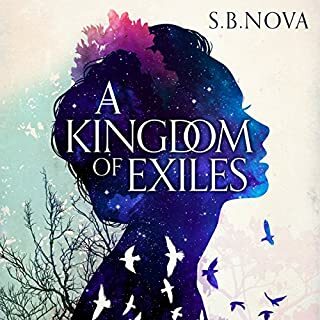 The imaginative characters are a lot of fun, and I loved following the main character through her journey. 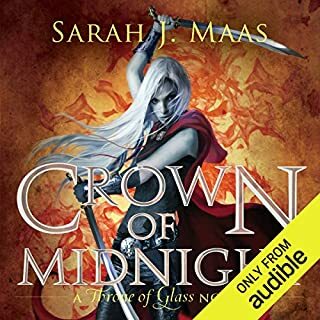 I will be reading the next book in the series and am excited to enjoy what the writer has in store!! Both my son 7yrs old and daughter 10 have been enthralled with the story. Thanks for a great book we all enjoy!! 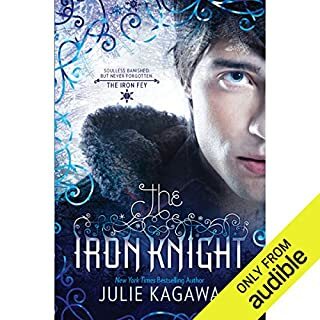 I do love all of Julie Kagawa's books!! another amazing book!! 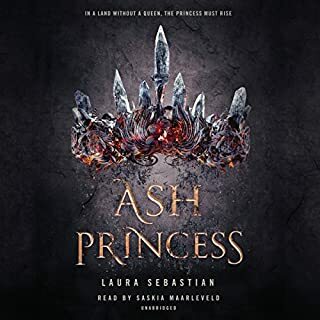 I already have Iron Princess & it's downloading right now so as soon as I'm done telling all you fine review readers that I love this book I'm going to start listening to it now!! YES IT'S A GREAT BOOK & YES I WOULD RECOMMEND IT!! YES IT'S ABSOLUTELY WORTH A CREDIT! I thought it might be "just another fairy story" but I was intrigued - I look forward to the next book!